I first fell in love with Korean food… on an airplane. I know! I shouldn’t admit that, right? Five years ago, E was asked to go to Seoul for business. I hadn’t traveled a lot then, so I happily suggested tagging along. There was one caveat: the whole trip would have to be done in just six days, including both 24h+ flight itineraries. I think this was the very beginning of my globetrotting career. I figured, if I can do this trip, I can go anywhere. So I read a guide book, bought homeopathic jet lag pills (they only work if you believe in them), packed a quick suitcase and I was ready to go. Feeling a bit anxious about the long flight, I was happy to learn that we were flying with Korean Air, a company with a very good reputation. Indeed, we enjoyed outstanding service and more legroom in economy class than I had ever seen (still true today). We were treated to the usual blankets and pillows, and also something I thought was genius: stickers to post on your seat saying, “Wake me up/Donʼt wake me up for meals.” Not wanting to pass on any food, even airplane food, I chose to be woken up. 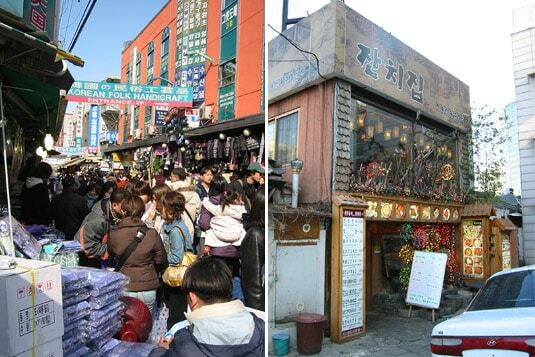 One very busy market and one delicious restaurant in Seoul. And so my first contact with the Korean way of plating meals came on an airplane tray: one larger bowl accompanied by an array of very small plates, each containing a different colorful pickle or condiment. The main course was bibimbap: a bowl of rice topped with ground beef, a fried egg and julienned vegetables arranged in a colorful rainbow around the sides. It was delicious; in fact, this is still one of my favorite Korean dishes, and I make it regularly at home. The real surprise came on one small plate: a bite of humble cabbage turned out to be a wonder for the senses: a saturated bright red color, a pungent aroma with hints of garlic and ginger, a crunchy texture and a succession of spicy, sour and sweet tastes. What in the world was this? I grabbed my guidebook and my world opened itself to kimchi. While visiting Seoul, I quickly discovered that it was served pretty much with every meal. I tasted many varieties, visited the kimchi museum, saw freshly prepared kimchi sold at the market. I indulged in this unique condiment as much as possible over my short stay in Seoul. Back home, I missed it but never considered it an option to make my own. I learned in South Korea that kimchi is fermented and aged in jars for days, even weeks, and simply assumed it would be impossible to reach a comparable taste at home. A month ago, I read the Momofuku cookbook with recipes by famed David Chang. Chang is known for serving Japanese-style soups, but he’s Korean-American, which means that he has also included many Korean-style pickles and condiments on his menu. I almost jumped for joy when I found a traditional kimchi recipe in the book: it didn’t seem too complicated or risky to make, and it was the very one served at Momofuku. I tracked down the Korean chili powder in an online food store and proudly made my own kimchi, five years after tasting it for the first time in Korea. 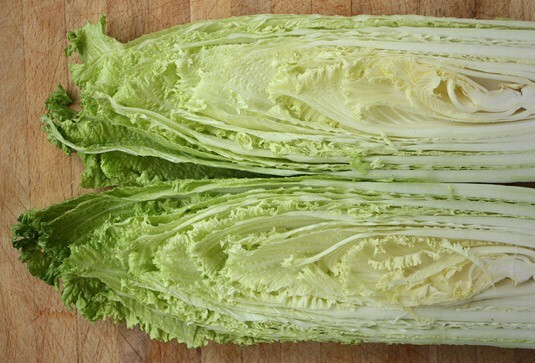 A beautiful heart of Napa cabbage. Napa Cabbage, after resting in salt and water (left) and mixed with the kimchi brine (right). And the result? The strange (and a bit stinky) smell, the powerful spiciness that almost brings tears to your eyes and the complex layered taste are pretty close to what I remember kimchi should be. The taste improves and intensifies over time, so I can’t wait to see how my kimchi evolves over the next few weeks. 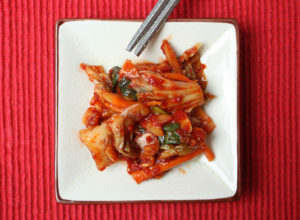 If you feel adventurous and love spicy food, give kimchi a try! One bite and you’ll understand why Koreans have such love (even obsession) over what can seem like an ordinary condiment. It’s great on its own but it can also be added to a variety of dishes like soups, stews, even sandwiches and pizza. This is my entry to Project Food Blog 2010 Challenge #2. If you liked this post, click here to vote for me. Voting is open from Sept. 27th through Sept. 30th. A big thank you to all who voted for me in the first challenge! You can also read my Project Food Blog profile, follow me on Twitter, Facebook or subscribe to my RSS feed. Kimchi is a saturated bright red color, a pungent aroma with hints of garlic and ginger, a crunchy texture and a succession of spicy, sour and sweet tastes. Combine the garlic, ginger, chile powder, fish sauce, soy sauce, water, shrimp (if using), and remaining ¼ cup sugar in a large bowl. Stir in the green onions, carrots and pear. Adapted from David Chang’s Momofuku. The original recipe calls for “jarred salted shrimp” which I wasn’t able to order online in Canada. They accelerate the fermenting process and undoubtedly add flavor. I found many recipes without shrimp so I made my kimchi anyway and it turned out delicious. Do add them if you can find them, you’ll get closer to authenticity. I substituted ½ cup julienned Asian pear, a fruit that is commonly added to kimchi, for some of the sugar in Chang’s recipe. I found that the delicate pear taste mellows the powerful garlic and ginger flavors a bit. ← Project Food Blog 2010: Who’s Competing? In a few months we will be selling our Kimchi on-line for those of you who aren't as adventuresome as you to actually take on the crazy task of making it yourself. Mrs. Kim has been making delicous Kimchi all her life and my brother and myself thought we'd share our joy with Americans. Her brand will be called Kimchi Green. Follow us on Facebook, just search Kimchi Green. Thanks! I’ve never heard of a kimchi that uses soy sauce; its a wonder (or maybe a tragedy). I know Chang is Korean, as am I, but this boggles me. I know that Chang always likes to twist the classics around a bit, I guess this is his version of kimchi, “how he sees it”. I have tasted more authentic kimchi before and I thought this one was close to the ones I tasted in Seoul and I loved that it was easy to make at home. Of course, I’m not Korean so my knowledge of Korea’s culinary traditions is limited – your comment makes me want to make a more traditional version of kimchi and compare the two! I just made this recipe yesterday. 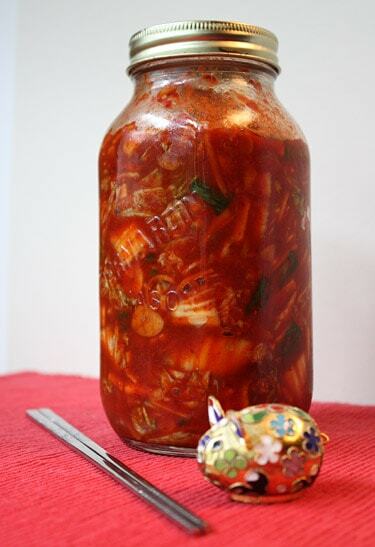 Was that last photo of the jar of kimchi taken after it sat in the fridge? I'm so used to adding a bit of salty water before letting it ferment. The photo was taken after the jar spent two days in the fridge. In my research to write this post, I didn't see instructions to add salted water to the kimchi preparation! What does it add to the dish, does it help fermentation? Very curious about it! I heart kimichi too, and especially napa cabbage kimchi. I could eat napa cabbage all day. :) Voted! homemade kimchi, i'm pretty impressed. that stuff will stink up your fridge! we voted for you! Wow, I had no idea you were into this kind of food! 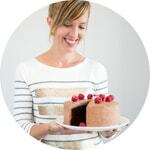 This is the best food blog, bar none! Just voted for you! Best of luck moving on! Looks so good! I'm casting a vote for you. Wow I would never have dreamed of daring to make kimchi. Great post! You have one of my votes. Good luck! Wow! Beautiful kimchi! I love to eat kimchi and fortunately it is sold in most grocery stores in Tokyo- so I never run short :) You got my vote! I love this kind of adventurous cooking! It has never occurred to me to try making kimchi before…now, who knows? 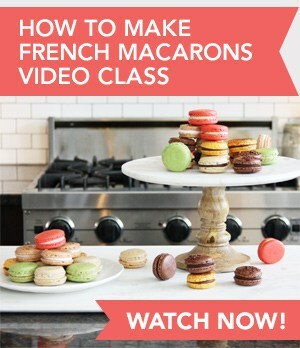 I might have to whip up a batch! I am thoroughly impressed. I've never made kimchi in my life and it's really sad considering that I'm 100% Korean and I love Korean food. You definitely have my vote. Nice entry. Well presented. Voting. Embarrassed to say that I've never made kimchi myself–it's too easy to eat my mom's! 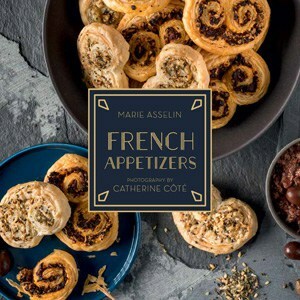 This looks wonderful, Marie. I've also been tempted to try David's recipe. We ate at 3 of his restaurants, but never tried the kimchi! I may just have to give it a go. Happy to learn it looks good to your expert eye! You're lucky to have made it to Chang's restaurant, I hear they're pretty hard to get into. Next time I'm in New York, I'll give it a try! 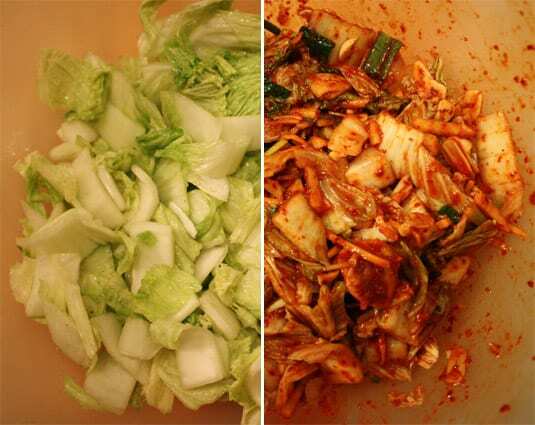 Great post and definitely inspires me to make my own kimchi! Good luck! Great post! You got my vote. Great post! I used to live in S. Korea for 5 years. It was great. I cook lots of Korean to this day but not kimchi i get some good stuff in the local store here in Seattle, WA. 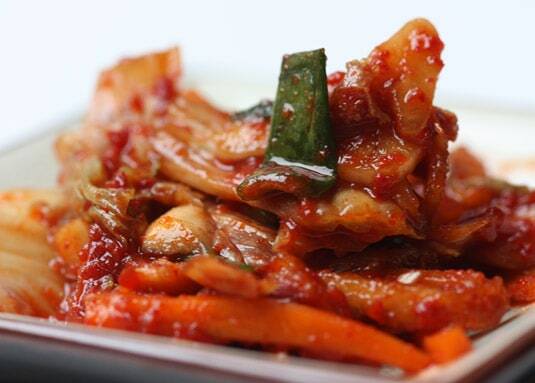 You're lucky to be able to find fresh kimchi close to your home! I once tried to order canned kimchi online but it's nothing like the original. Maybe you can try making your own someday, it's a lot easier than it looks. You are a wonderful writer, I can see and almost smell the delicacies that you describe. 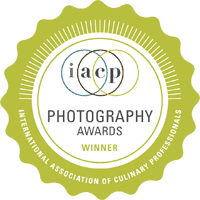 I look forward to browsing your blog and learning more about your food travels and kitchen explorations. I voted for you and hope you make it to round three. Thank you so much for your comment! It means a lot to me. I also hope to make it further, next challenge will be a bit tricky for me since I'm abroad while I'm writing this. Don't know how I'll pull of throwing a luxury dinner party but I'll sure try! Fabulous job! I love that your first taste of it was on an airplane, what a great story! Totally voting! And your images are beautiful! Isn't it a bit of a surprise to love airplane food? I know I was surprised – and it never happened to me again since :) I read your post earlier today and loved it. Good luck! Just voted for you and best of luck! Wonderful post and the photos are just gorgeous. I must admit that I never liked kimchi. It must be the smell, the taste. I've also been to Seoul and recognize very well the photos of the market that you posted! Well done! Best of luck in PFB! sending a vote you way and best of luck. Thank you for your vote! I will definitely check your post. Good luck! I heart kimchi too! I am so incredibly impressed that you did this at home, it's given me some confidence to do it at home too! Thanks and good luck. You should definitely try it! 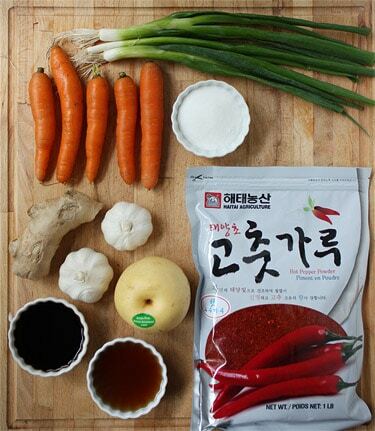 Once you find the Korean chile powder, you're on your way. Even better if you find the shrimp but it's also delicious without! I love kimchi and yours is absolutely gorgeous. Thank you! Tastes as bright and bold as it looks! Thank you! The taste is really rewarding. Thank you Mardi! 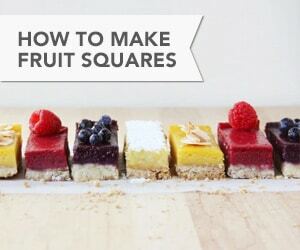 It's surprisingly easy to make and very rewarding. When I was in Toronto for a year, I went to a Korean grocery store in the western part of the city (around York U), it was pretty big, maybe you would find the salted shrimp there! I'll certainly give it a try next time I'm in Toronto. I loved your latest PFB post, Laos is a country I almost know nothing about. 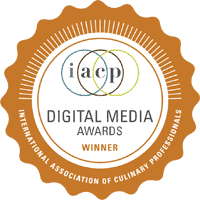 Happy to discover more about it through food! I'm confident you'll make it to the next round, I'll vote for you as soon as voting opens! Beautiful post! I love Kimchi.